GB number one Mixed Doubles pair Chris and Gabby Adcock, stormed into the quarter finals of the TOTAL BWF World Badminton Championships in China this morning as they look to win back to back world medals, following their brilliant bronze in Glasgow 12 months ago. Today, the Adcocks, currently ranked 6th in the world, reached the final eight in Nanjing with a dominant display against seeded Chinese rivals backed by home crowd. In their first ever meeting with He Jiting and Du Yue on the world tour, the Brits were always in control during their 39 minute match, winning 21-16, 21-16. 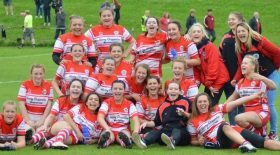 They always led in the first game, opening up a 10 point winning margin at 16-6 before claiming the advantage on their first game point. And the second game, whilst point-for-point in the early exchanges, saw the Adcocks pull out of sight from 14-9. They now face a quarter final with another Chinese pair, Wang Jilhu and Huang Dongping – the 2017 YONEX All England champions – for a place in the World Championships semi finals. 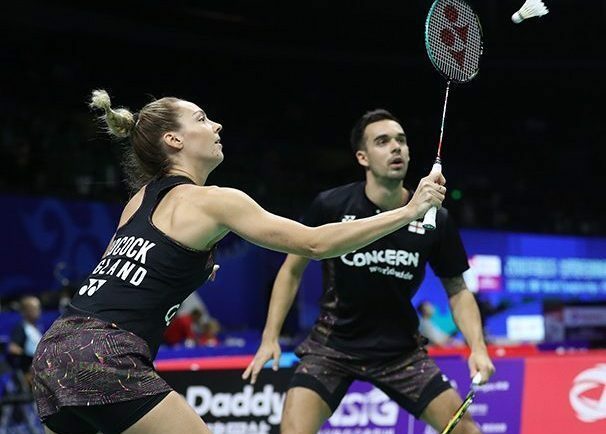 A semi final slot would net another World medal for English badminton and the Adcocks would be the first badminton British pair to win medals in successive World Championships in the 35 years – since Nora Perry won the last of six world medals in Copenhagen. It would also be the first World Championships medal won by a British pair in an Asia-hosted ‘Worlds’ since Beijing, 1987. The Adcocks’ hunt for a second successive world medal would further add to an already impressive 2018, featuring retained European and Commonwealth gold medals. Results, draws and live scores from Nanjing here.